SUCESS NOW! Here you can find the English versions of our magazine. It has been created by me and my team for people who want to grow and evolve – every day a bit more. I wish you that these pages will be your companion in life and that you study the basic laws of success again and again. SUCCESS NOW! 1 SUCCESS NOW! 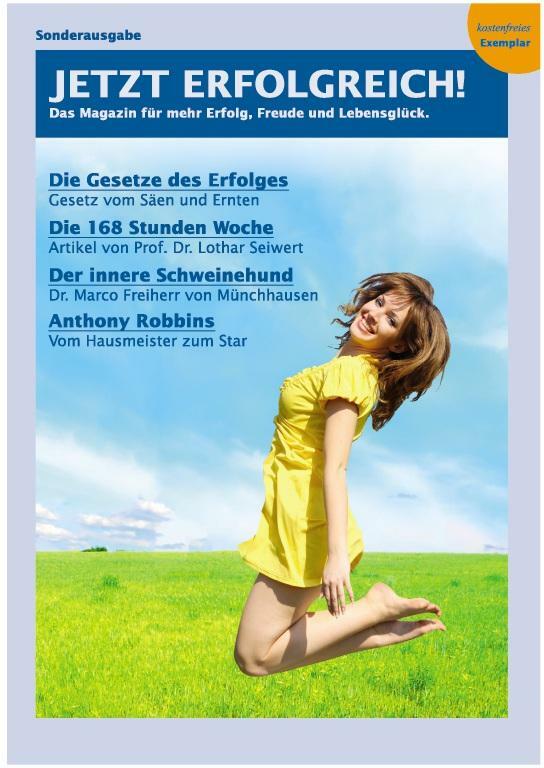 3 Lerne das Magazin durch die Gratis-Ausgabe kennen. Klicke auf das Bild und Du kannst die Sonderausgabe lesen.